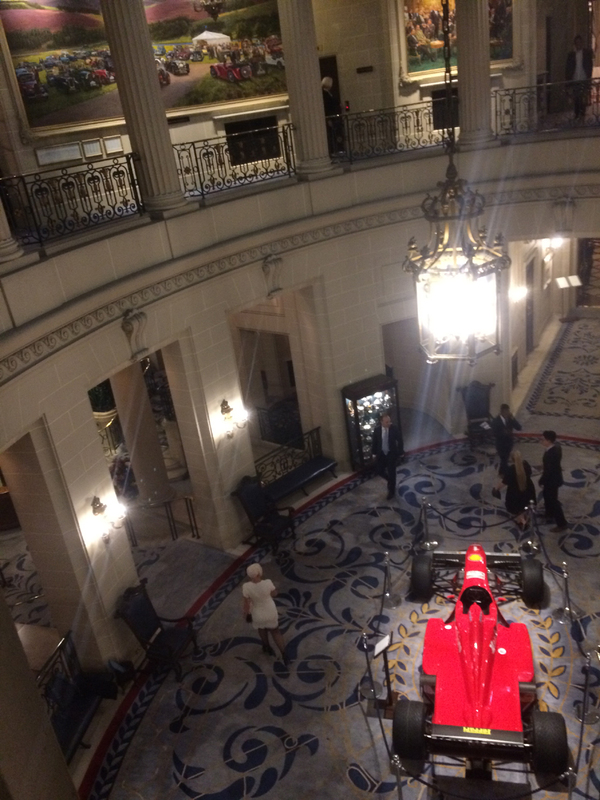 Last night saw the opening event of the Royal Automobile Club’s London Motor Week. The Club has been working with the designers of the future at the Royal College of Art Intelligent Mobility Programme and have teamed up this year with the RAC Foundation to set the students a project entitled: ‘Inclusion and Empathy – Meeting Special Mobility Needs in the Age of Autonomy’, tasking the students with real life mobility issues in a changing automotive world. The evening showcased the work of the students and the outcomes they have created to tackle these issues. The invited guests were able to quiz the designers about their work. Tom Purves, Chairman of the Royal Automobile Club, was joined by club members, industry experts and leading automotive designers. With the ‘Automated and Electric Vehicles Bill 2017-19’ currently being debated in Parliament and a Government Policy advisor in attendance, the relevance and importance of the subject matter being discussed is clear. The Royal Automobile Club on Pall Mall is a fantastic building inside and a perfect setting for the event, giving the international students a great insight to the history and traditions of British motoring contrasting with their future creations. Founded in 1897 with the aim of encouraging the development of motoring in Britain, today the Royal Automobile Club is one of London’s finest private members’ clubs, with its magnificent galleried hall. Drive is celebrating 20 years since it was established in September 1997. 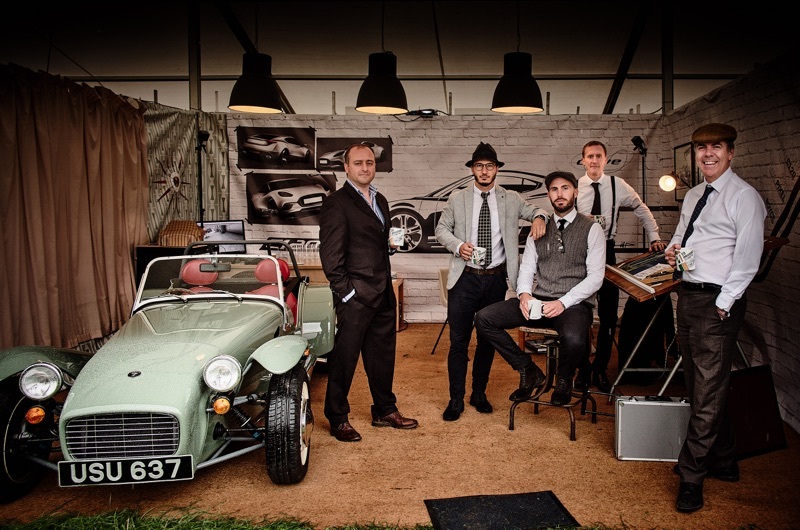 To mark the event we had a Drive Design Studio at the Goodwood Revival. The Goodwood Revival is a fantastic event caught in a nostalgic time warp encorporating the best of 1940s, 50s and 60s motor racing meetings. A chance for visitors to take themselves out of their modern world and watch rare and classic cars racing flat out with no quarter given around the classic Goodwood circuit, as well as simply taking in all the surrounding period attractions. For Drive it was an opportunity to celebrate our anniversary and acknowledge the support we have had from design and engineering colleagues, clients and suppliers. Over the weekend we were pleased that everyone visiting Drive’s revival Design Studio, entered in to the spirit of the event, both in their vintage attire and the Designer activities. Autonomous Supercars – The race is on. The race to produce the first production autonomous supercar is well and truely on, as many doomsayers mourn the passing of true driving – missed gearshifts and terrible lines around corners – Supercar manufacturers and their highly specialised engineers are more excited than ever. Why? …. …. 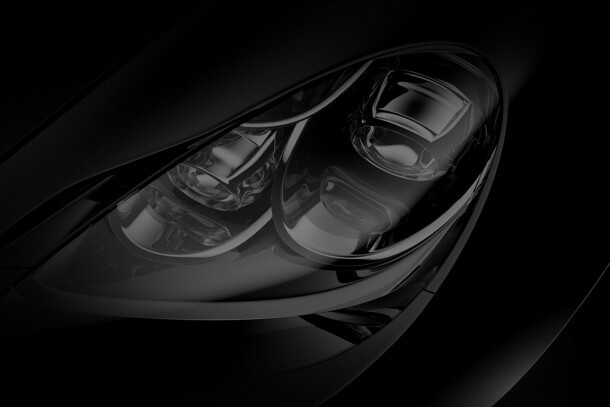 because they will at last see their cars perform at the maximum. Currently they resign themselves to the fact that the people who buy these ultimate performance vehicles are unable to exploit the full potential of the car. Far from autonomous cars reducing us all to the lowest common denominator commuter speeds, the real benefit is for ‘B’ road experiences like never before. With autonomous control, owners will choose their preferred setting, not suspension stiffness but style of driving, clicking the dial to their driver of choice. And it is here that McLaren and Mercedes have stolen a march on their competitors. Mercedes are now able to use the 2016 data of the current world champion Rosberg without giving away any advantage to their current F1 opposition, and McLaren have played a blinder, creating a scenario where they will have 2017 data from two world champions, Button racing in a one off at Monaco, and Alonso covering off the US market at Indy. Moving to autonomy has relieved the need for a steering wheel, and this reduction in production costs for right and left hand drive, has allowed other manufacturers to contemplate entering the supercar market, and niche to compete on more even terms. With steering wheels, pedals and gear shifts now being additional cost options for those who wish to pretend to be driving, the commercial benefits are clear. So with autonomous supercars using all the latest sophisticated positioning and sensoring technology, the passenger phrase “Slow down, you don’t know what’s around the corner” will at last be erased from the English language. 3 weeks, No back plates, No CG model, ……….. No chance? Imagine positioning a camera when you don’t know the exact position of the subject, you do know it won’t be there for several months and the client is demanding an image within 3 weeks. 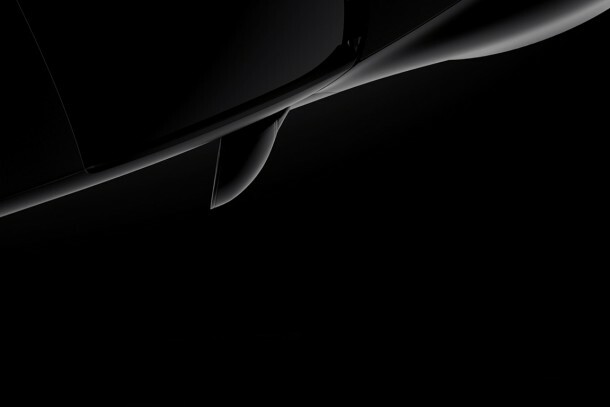 So you decide on the CGI route only to discover that there is no data available of Virgin Galactic’s Space Ship Two. At that point, photographer Richard Seymour came to Drive CGI Studio to deliver a fast, cost effective and flexible process for producing the high quality images required whilst maintaining art direction freedom throughout. As Richard flew out to the Spaceport America site in New Mexico to capture the back plates and HDR images for domes, Drive’s expert team of modellers got on with creating the 3d data Spacecraft from scratch using information gleaned from the web. Richard’s photographs were transferred to the studio before he had said his farewells, and Drive’s creative team set about finalising the environment using early volume models in the scene to match camera angles ready for further creative input. The digital 3d model was completed, textures and finishes applied and then dropped into the virtual environment. Once the creative direction and images were completed, the final retouching was applied. No chance? On release, on time, on budget. 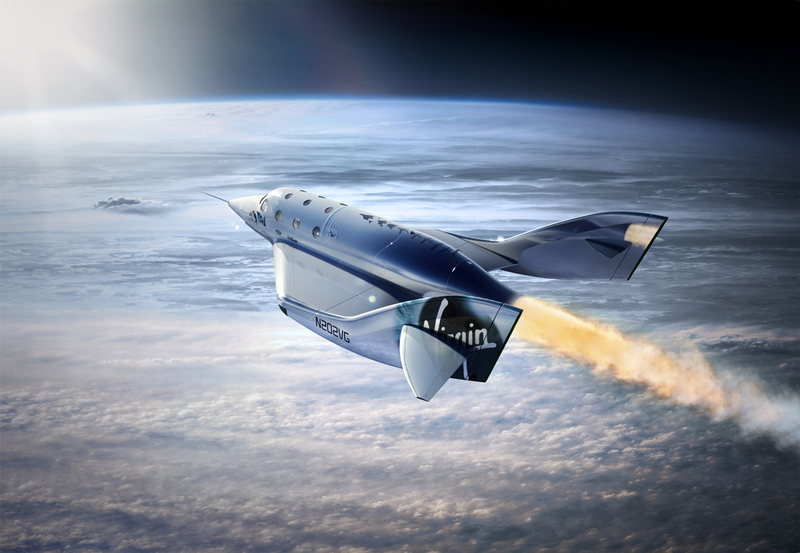 These CGI renders feature Virgin Galactic’s SpaceShip Two at Spaceport America in New Mexico. Photography and art direction by Richard Seymour, CGI work by Drive CGI, Retouching by Nick Humphries. These images are strictly not for reproduction without permission. Virgin and Virgin Galactic are registered trademarks. Whilst out shooting backplates for some still images, I took the opportunity to collect some for some drive promotional pieces. These particular shots lent themselves to some ideas we had been dicussing in the studio.